Leah Barr is a fourth year Gender, Women’s, and Sexuality Studies major at Grinnell College from Evanston, IL. Her maternal great grandparents met on the boat to Ellis Island. Leah plans to spend the next few years in pursuit of her lifelong goal of becoming a library curmudgeon. At the base of the Statue of Liberty, the “Mother of Exiles” as her plaque declares her, sits a poem, “The New Colossus,” written by Emma Lazarus. “’Give me your tired, your poor/ Your huddled masses yearning to breathe free,/ The wretched refuse of your teeming shore./ Send these, the homeless, tempest-tost to me,/ I lift my lamp beside the golden door!’”. The statuesse lives where the East and Hudson rivers meet, just next to Ellis Island, the main processing and entry point for European Immigrants entering the United States from 1892 to 1925. While a heartwarming message, the immigration process just up the upper bay from Lady Liberty was far from liberatory for many of the 14 million people who passed through it . The first portion of the screening process that took place at Ellis Island was the medical inspection . These medical inspections, many immigrant’s first encounter with America and its people, were heavily shaped by social and economic factors and contexts. In fact, immigrant medical examinations at Ellis Island served as an important means for American social control from the federal level, one that shaped the American workforce and began the process of immigrants’ familiarization with industry and industrialized citizenship. Before Ellis Island became the port through which massive amounts of European immigrants entered the United States, the major New York immigration port was Castle Garden. In the late 19th century, it became clear that Castle Garden was not only no longer able to handle the volume of immigrants, but also that individual states were not equipped to handle the larger issue of immigration. As Americans became increasingly worried about the origins of immigrants and concerned that European countries may be sending their “problem people”, Americans felt the federal government could better handle the inflow . As Ronald Bayer has noted, this change in immigration policy and procedure was ideologically in line with other trends social, political, and economic trends of the time: “[t]he federal government’s shift to a more regulatory approach to immigration paralleled its other Progressive Era controls in regard to industry and railroads, such as the Interstate Commerce Act of 1887 and the Sherman Antitrust Act of 1890. 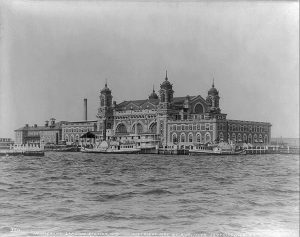 The government’s power expanded in relation to the growing power of industry…” It is important to understand the transforming power structures related immigration directly preceding Ellis Island in order to situate what happened there are part of a larger, standardized national plan and agenda. Despite trachoma’s stigmatization and classification, the Surgeon General’s yearly report, which “resounded with names of medical officers struck down by typhus, cholera, or yellow fever… no Ellis Island physician ever came down with trachoma in spite of constant contact with such cases,” leaving us to wonder in the present how truly contagious and dangerous the disease really is. Sometimes new arrivals were sent back to Europe having never even felt any symptoms of the trachoma they were infected with. As noted earlier, one reason for exclusion was “likely to become a public charge.” “’Of those denied entry, most were certified, not with loathsome and dangerous contagious diseases,’ but with conditions that limited their capacity to perform unskilled labor.”  Healthy bodies were needed to fuel industry, and if immigrants were not healthy enough to contribute to industrial citizenship by working in factories, they were seen as unproductive, useless, and likely to become a drain on state and federal resources. This makes even more sense when we take into account the conditions immigrants were forced to endure in both the tenements where they lived and the conditions and hours they were forced to work under in factories (for an example, see the triangle shirtwaist factory and fire). Even strong, young, healthy bodies often fell ill or were injured under these conditions, so those without a healthy starting point stood little chance of being productive industrial laborers. Popular rhetoric likes to paint America as the great melting pot, hearkening back to the days of Ellis Island, but entering the country and becoming an American was rarely as easy as the Statue of Liberty made it seem. Immigrants could be turned away after long and difficult sea voyages. 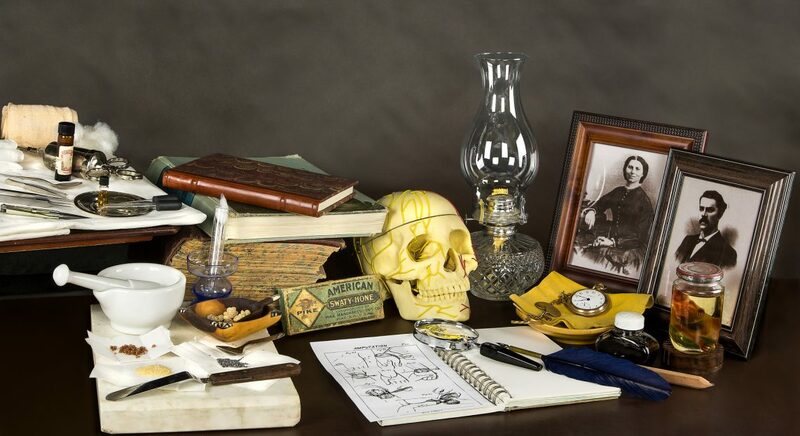 For those suffering from disease and injury, America was not always the land of opportunity, and even those who made it in, it was not without a frightening and intense medical inspection. Amy L. Fairchild, Science at the Borders: Immigrant Medical Inspection and the Shaping of the Modern Industrial Labor Force (Baltimore: The Johns Hopkins University Press, 2003), pg. 13. Bayor, Encountering Ellis Island, pg. 26. Alison Bateman-House and Amy Fairchild. “Medical Examination of Immigrants at Ellis Island.” American Medical Association Journal of Ethics. Vol 10, no. 4 (April 2008), pg. 236. Bayor, Encountering Ellis Island, pg. 22. Yew, “Medical Inspection”, pg. 494. Bayor, Encountering Ellis Island, pg. 47-48. Bayor, Encountering Ellis Island, pg. 45. Fairchild, Science at the Borders, 7. Bayor, Encountering Ellis Island, pg. 42, 43. Bateman-House and Fairchild, “Medical Examination,” pg. 237. Fleegler, Robert L. Ellis Island Nation: Immigration Policy and American Identity in the Twentieth Century. Philadelphia: University of Pennsylvania Press, 2013. Novonty, Ann. Strangers at the Door: Ellis Island, Castle Garden, and the great Migration to America. Riverside: Chatham Press, 1971. Pegler-Gordon, Anna. In Sight of America: Photography and the Development of U.S. Immigration Policy. Berkeley: University of California Press, 2009.